Oh Darling Events is an In-House Floral Design business in Sarasota, Florida. 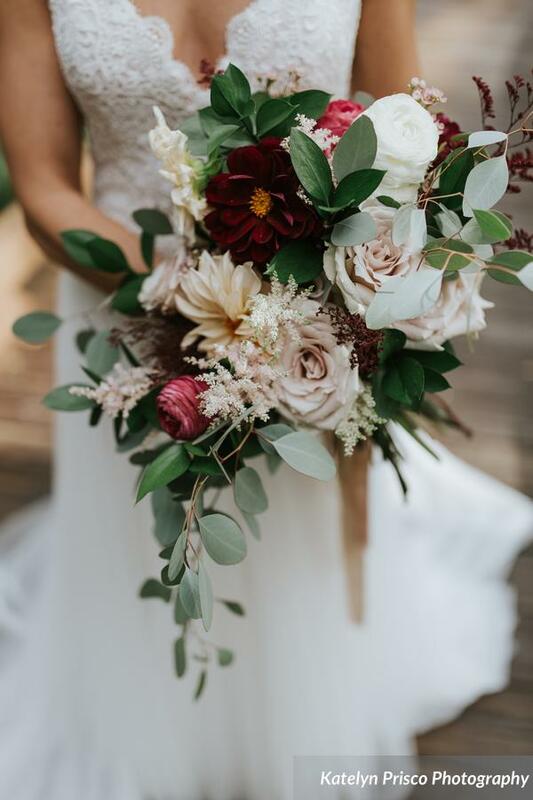 We offer customized, boutique-style wedding flowers for couples on The Gulf Coast of Florida who are looking for a personalized experience. “Look no further, this is your florist for your wedding! Kristin is amazing at what she does and you can tell she loves it too. I do not live in Sarasota so I picked all of my vendors based on reviews. I saw that Ivy & Vine had great ones and I am SO glad I went with her. I sent Kristin pictures of what I wanted and she created exactly that, adding her perfect touch. She helped turn my wedding into a beautiful masterpiece. Kristin is very responsive, kind and professional. You won't find a better florist! Kristin from Ivy & Vine is truly amazing! My husband and I were planning our dream wedding from Chicago, IL and Kristin made the process so easy and enjoyable! I had showed her photos of our dream wedding altar & aisle arrangements as well as centerpieces and she nailed it! It was EXACTLY how we envisioned. She truly is an artist and I promise you won’t go wrong hiring her! My husband I still pinch ourselves with how amazing/perfect our wedding was! We couldn’t have done it without her! I would hire her a million times over again. Thank you soo much Kristin! You’re the best!"